Marriage! That all important thing in a woman’s life! Something that gets even more importance in our society than other trivial matters such as education and women’s rights! Our social mindset is such that an Indian woman is only considered to be a “complete woman” if she has a mangalsutra around her neck and a baby on her lap. As someone who is single, I am constantly being told how essential marriage is for a happy, secure and stable life. It’s a social norm that must be followed; my “well wishers” inform me earnestly. Honestly, I really can’t seem to understand this point of view. Marriage according to me is a conscious decision to spend your life with someone you truly love and want to be around the rest of your life. What does it have to do with a woman’s security and social acceptance? The general arguement is that a woman needs someone in her life to “Take Care” of her. Are we trying to imply that the modern Indian woman is not capable of taking the major decisions in her life and looking after her own needs? As for the majority of women is this country who are not financially independent, isn’t it a better idea to empower and educate them so that they become self reliant instead of just marrying them off to someone so that they are “looked after” for the rest of their lives. And how many times does it work? Haven’t we all seen umpteen examples when a woman is ill-treated by her husband and left to fend for herself? Usually women don’t even have the courage to walk out of an abusive marriage because they are afraid of the social stigma. What we need to do is change the mindset of the society. We need to stop treating a woman as a “Responsibility” or a “burden” and treat her as an individual with the freedom to live her life as she wants. We need to acknowledge and support a woman’s right to fight against an abusive marriage instead of telling her to quietly accept her lot.The Problem is, a woman’s hopes and aspirations don’t stand much of a chance in our male dominated society. Indian woman is supposed to be the epitome of sacrifice – She is told that she must compromise her own happiness and desires for the good of her family. Yes, there is a little give and take in every relationship. We make adjustments and sacrifices for the people we love – be it friends, family or siblings. But do we really need to submerge our own identity to get the so called fulfillment and social acceptance that marriage offers? My question is - is marriage the only thing a woman can derive happiness and contentment from? Isn’t the freedom to follow our dreams and aspirations and live our life the way we want enough to make us happy? Wouldn’t a woman who hasn’t found the man of her choice, be happier living alone, doing what she wants, instead of getting stuck in a marriage where she lives a stifled existence. Tell me wouldn’t you rather be in the driving seat of your own life rather than let your life be driven by someone else where you wouldn’t even have half a chance of back seat driving ! Some of us are lucky enough to live life on our own terms. But we are a minority, and even if our family is perfectly all right with us being single, society is definitely not. Please don’t misunderstand me. I am not against the institution of marriage. A marriage between two people who truly care for and understand each other, is a real blessing. What I am trying to say is don’t make marriage a social compulsion, something we are obliged to do even if we are not happy doing it. Let a woman make her own choices, let her decide if she wants to stay single or get married and give her the right to walk out of an abusive or unhappy marriage without making it a social stigma. To marry or not to marry, to work or not to work, to hv kids or not is all very personal. To each his/her own. Whatever gives u happiness...Kuch to log kahenge..
My working friends tsk..tsk u dont work? Arre bhai if I am happy at home why r others bothered? Every single women has something like this to crib on! Indian society is more keen on other's life than minding their owns! I liked your comparison on marriage with driving/driver's seat! Is so apt! And a women, happily unmarried is questioned about her marriage. A women who is married (whether happy or not), is questioned about baby news! And so on!! These people, i tell you, never rest! It is true that society have a liking in pestering single women.It is terrible at times..
you can check out one of my posts on this..
Of course not ! One should marry only because the two people together decide and not because one has to marry after reaching a certain age or because one lives in the society ! Hi Ruchira, I am new to your blog. I was impressed the moment I reached here because I was searching for some "thinking individuals". Bye the way, I too am called Ruchira at home (official name being Niharika Mishra Mitra). Now coming to the point, this was a very good post in my opinion. I have similar believes as you on this issue. In-fact the sad part is that many men/boys from the younger generation also seem to be thinking like this. The reason I think is that this is what they get to see around and they so not have either the guts or the ability to stand up for women's rights. I totally agree with you. In fact reading your and IHM's post I too am inspired to write 1 about this topic. @vaish – yeah the biggest problem is people interfering in others lives ! @Bhavya – The problem is we need to fight out such things rather than hate being a Indian woman! @Scribbler – wish everyone thought like you ! We Cognize – Thank you and welcome to my blog! Its nice that we share the same name isn’t it ! Brilliantly put. I completely agree. The root cause of so many social evils is this obsession with a girl getting and staying married. Imagine a society where a girl could be raised without worrying 'what a future with her in laws holds for her'- no telling her to be submissive and obedient, no anxiety over how crisp her dosas are, no saving for her dowry, no palpitations because a neighbour noticed she has friends who are not all women, no concern if she chooses a not-matrimonially suited career... No saying, "She is our son", no disappointment that she was not born a boy. I was watching the new serial "Outsourced" and there was this Indian girl who told a phirang that "even in arranged marriages, the girl gets a choice - so how is it so different from a love marriage?" To me, that was missing the point. The thing about arranged marriages is that you're forced to marry in the first place! There's never an option to just stay single if one likes. Another part of it is perhaps people are afraid to let women choose their own mates and "run wild" as it were. A daughter is someone to be controlled - we can't let her go around looking at men in that way can we? Oh noes! @IHM - Thank you ! The biggest drawback of our society is the obsession with marriage.Instead of becoming a great experience, marrriage is more like a sword dangling over every womans head ! @Bhagwad - Exactly ! Marriage should be an option and not something we HAVE to do. The singlehood is discouraged in a social sysytem where elder care is dependent on families instead of state or other alternative institutions. Even men face the pressure to get married and have children but it is not as bad as women. I know it personally coz'I am hell bent on defying all stereotypes. Also, society makes sure to punish a woman who tries to chose her own path by stigmatizing her, isolating and making her life so difficult inorder to scare other women who may want to follow her suit. Here is the solution one person found. Only if people knew the meaning of peace and happiness within than controlling others. Such powerful thoughts. And I agree with all your points. In fact, one of my cousin has had a divorce 5 yrs ago...and she's now planning to marry again. Knowing her character well, I seriously think she must stay single. She was hapy before marriage...and she was happy after divorce. I wonder why she's getting into it again...and when i said this out loud, there was one common answer from everywhere: "when she becomes older, she'll need someone to take care of her". I wonder if a husband means a care taker. Why not appoint a life long maid, then!? Btw, i think "marriage" in India is forced even on men!! How many instances have we witnessed where the mother tells the son " bring me a girl who'll look after the house. we're becoming old." Sigh! Nice blog you have here. Blog hopped through IHM's. @Desi Girl – Agreed India has a almost nonexistent support system for the elderly. But what guarantee is there that you spouse will outlive you and will always be there to support you. And what guarantee is there that you have kids and the kids always stay with you ? You might just end up depending on a servant in your old age. And for people who are not married other family members, friends etc form a great support. I agree with you – society makes it real hard for people (men and women) who try to choose a different path. @alphabetworld – Thanks and welcome to my blog ! Yes, sometimes marriage is forced on both men and women and its rather sad actually because marriage is one of the most important things in life and its so important to get the partner of your choice and not your parents ! @Phoenixritu - yes marriage should be out of love and not because you need looking after! Desi Girl was just giving a reason why marriage is over emphasized in India. She believes exactly what you said, marriage in itself is no garauntee of support and childless marriage assumed even worse. People like us who have conscously chosen to be single have to develop our own resources and support systems. We friends decided we need to not only support each other but should even reach out to mutual friends who are single. Our late friend Joy Harris taught us you make a family out of what you have even if it is single friends or those with families. Don't worry... once you get married it will be about kids. One of my friends and your colleague recommended your blog to me yesterday. I have been reading your writeups since yesterday and lemme me tell you I am totally impressed by your thought process. But our society doesn't let a single person live a peaceful life..Being a boy If I undergo pain of such "sincere suggestions ", i can fully understand the pain of a lady. This is one of the reasons why so many marriages end on unhappy note or worse women suffer in a relationship since they are forced to carry on an unsuccessful marriage only because of the social stigma attached to it. @ravindra - Welcome to my blog and many thanks for those wonderful comments ! I am glad you enjoyed reading the posts ! @Gyanban- unless you know the person you are going to marry really really well - its like a lottery ! and it needs a lot of adjustments ! 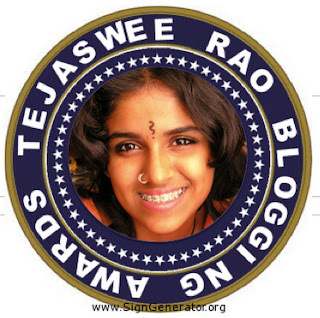 Came to your blog through Preeti (Shenoy)...will comeback for more! @Prerna - Welcome to my blog ! I can very well understand ! I think thats the problem in Indian society - parents dont (or cant )rest in peace till they marry their daughters ! Its extremely difficult to convince them that we dont need taking charge of! Its better to wait till we really find a guy we like ! I agree so completely ...i have seen this happening and girls being desperate for marriage just because they just can't take pressures from the family and the society ...going for all the wrong reasons to marry. You should have the right person to marry , if you don't get one in your life time ,there should be no other reason to marry ...that is all. I have seen a few women staying single happily (small cribs about life everybody has)and i hope they will be the role models for many who want to stay single( but are bogged down by others)... I often tell one of my friend who is single that there are many who would be jealous of your freedom and upfront life..
totally loved post and agree completely! "We need to stop treating a woman as a “Responsibility” or a “burden” and treat her as an individual with the freedom to live her life as she wants." These words are so damn true! And as you mentioned at my blog - we need to stop associating happiness of a woman with marriage! Well said. Yes let the woman decide whether she wants to stay single or not. Well said Ruch, well said! @Sangeeta – Yes marriage should be a option and not mandatory! I sometimes feel single people have much more freedom ! @Pixie – Welocome here! Yes marriage and happiness are two completely separate things. A woman can be perfectly happy without marriage as well ! @Preeti – Thank you ! @Lishma – Thank you ! yes women and frankly even men should be given a choice ! @Sneo - Welcome to my blog ! I agree that reasoning out with your loved ones is better . In my life I prefer to reason out with the people who matter and then do what I have decided to do. I really don’t bother about society if I have managed to convince the people who matter. But sometimes in India women have to stand up against society AND family because even your loved ones do not try to understand and accept your reasoning! Every girls' must faced life-stage is marriage. Whether we are happy with it or not does not matter. Esp when you are single and quite above marriageable age, there is big question mark on all the faces you meet. I have written my personal experience here. http://goingagainstthetide.blogspot.com/2011/11/when-are-you-tying-knot.html. Consider the irony of what the woman ends up doing the rest of her life - "Taking care of the so called Care Takers and some for the REST of her life - so much so she forgets that SHE exists and deserves some caring too!!" Jokers - the architects of what life must be!!! Thank you Ruchira for visiting my blog. And congratulations for the award! This post interests me! Well, in India we are proud of close-knit families. And the relatives surround us when we really need them and also when we really don't need them giving useful(?) advise. They advise women to marry a good guy whether women like him or not! And they make our parent's life miserable. Some of us are blessed to have parents who understand their child and not listen to the society.